Wality Pens are generally not easily available in northern part of India, I actually can to an extent of saying that they are not even available in that part. Reason could be poor marketing or poor sales. Surprisingly Wality pens are manufactured in Mumbai and even in Mumbai you will find them only certain parts not everywhere. This particular pen i.e. WALITY 71 JT was bought from ASA Pens. Amazing, passionate pen man Mr. Subramaniam behind the store. He actually has enabled lot of people in around the world. Best part is even if i have certain issues with pens he offers to replace or service them which is his forte. Though this only happened once with ASA Spear. Wality 71 JT gave me lot of troubles which will be covered in detail review below and how it became one of the best writers i have today. And surely it is #inexpensive. Oooooh that look ….. Beauty. This pen is gorgeous. 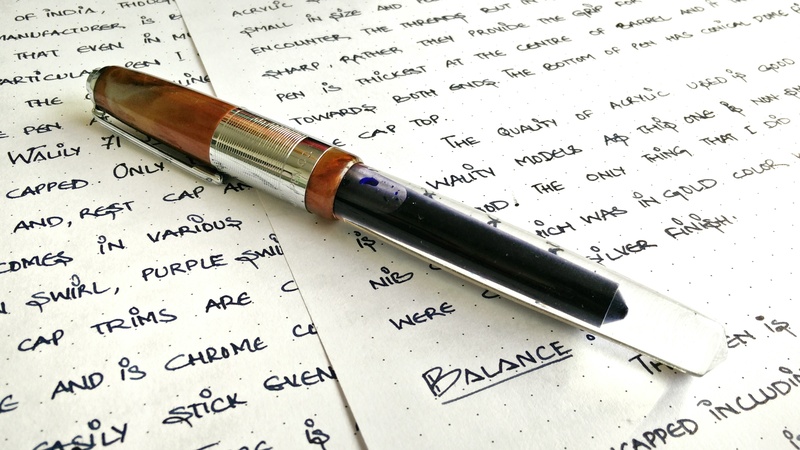 One gorgeous demonstrator pen. Lovely. What not. One look at it and I am sure you will love to grab this pen. 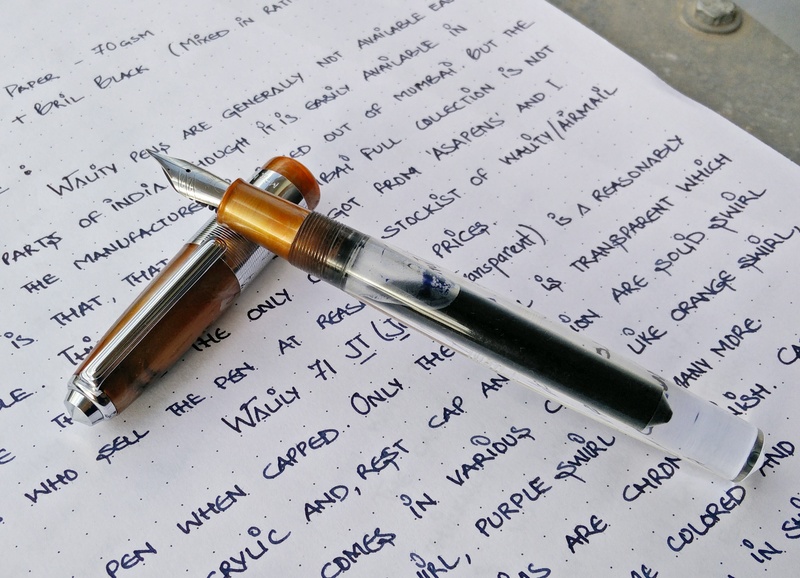 Wality 71 JT (Jumbo Transparent) is a reasonably large pen when capped. The barrel is transparent and is amazingly polished inside and out. Its crystal clear, and rest of the pen i.e. cap and section are made of solid swirl acrylic and it comes in various colors like Blue Swirl, Green Swirl, Purple Swirl and many more. The trims are chrome silver finish. Cap top is like a conical dome as you can see from the picture above and the silver colored clip is trademark Wality sturdy stiff clip. There is a big silver center band in the cap with circular ring pattern all over and engraving at the bottom “Mfg. 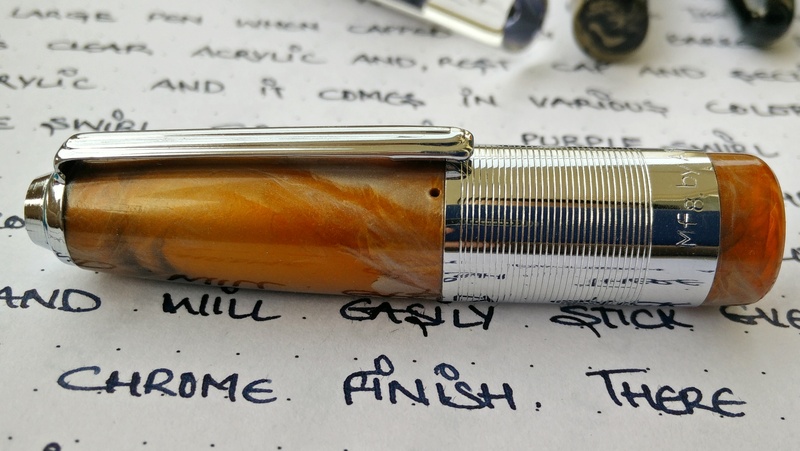 by Airmail Pen Co.” The thing that i don’t like is that the silver center band easily rotates in this model and is not fixed and that is the reason why I have deducted half point out of built. 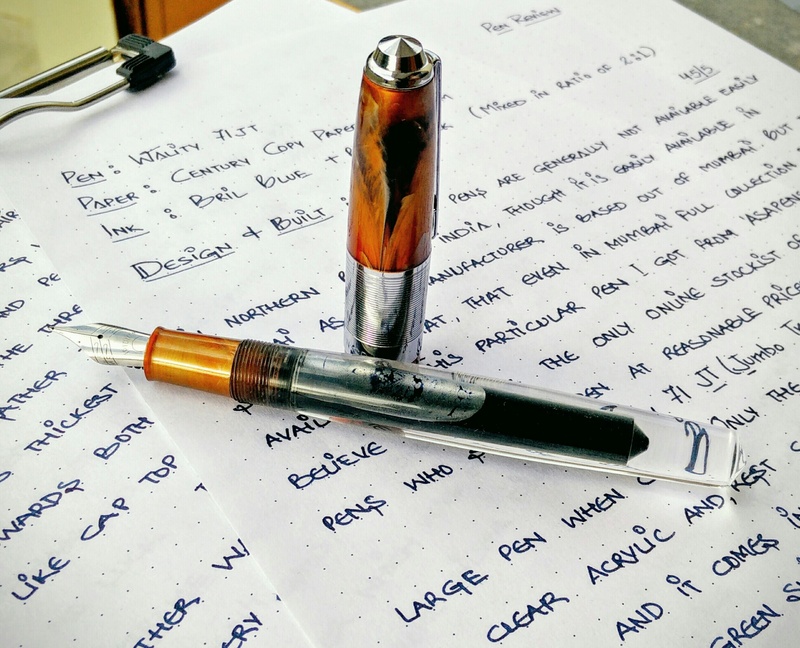 The cap has a breather hole which like many of the Indian pens it has which can be clear from image above and below. Wality 71 JT – Breather Hole. There is a inner lining of the same acrylic material also provided which is slightly visible from the image below. The cap opens in 3 turns. 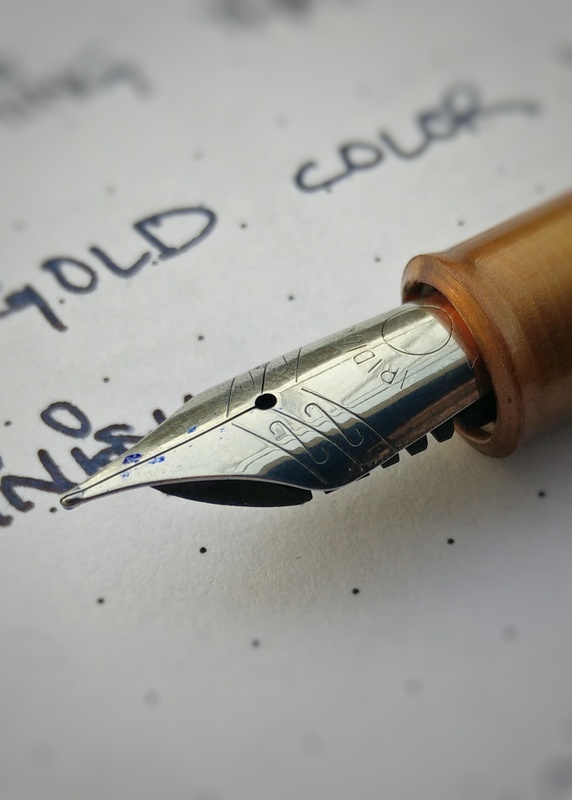 The grip section of the pen is small in size and people who hold the pen a bit higher might encounter the the threads but the good thing is that these threads are not the sharp threads and in actual they provide more grip to otherwise slippery hands. 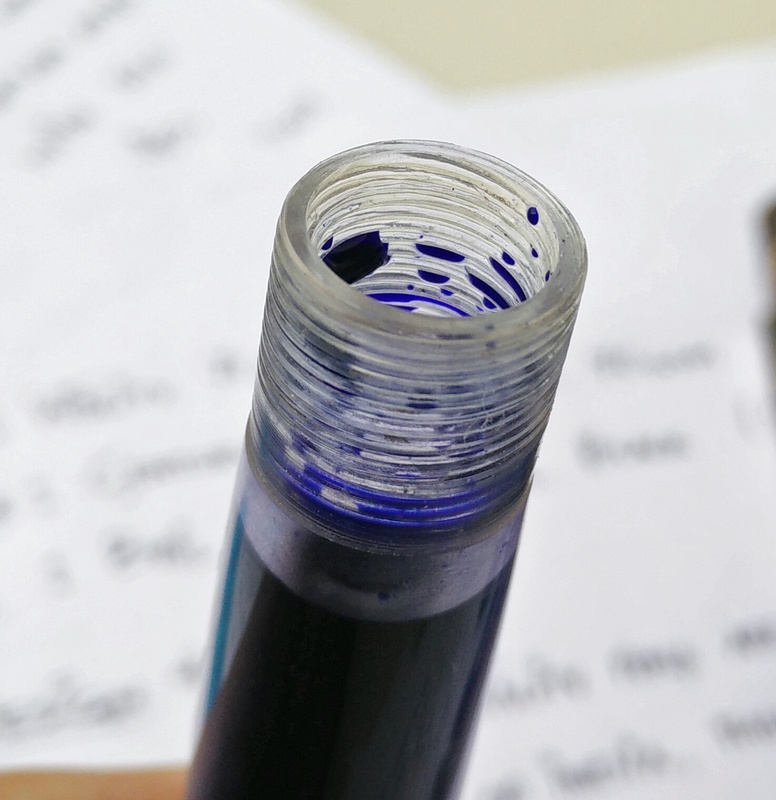 The pen (without the cap) is thickest at the center of the barrel and it tapers down towards both the ends. Also the bottom of the pen which is solid crystal also has the same conical domed shape similar to cap top. 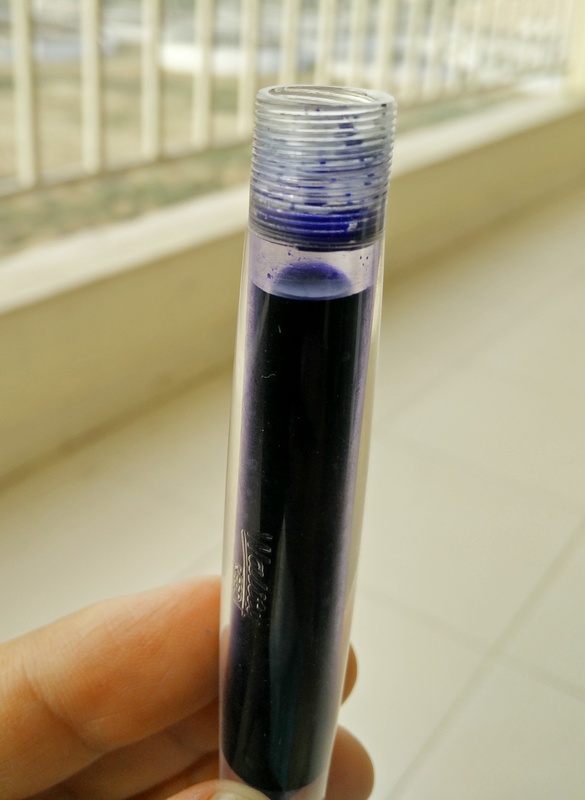 The quality of the acrylic used in this pen is far better than the other wality pens like Wality 52 PD, Wality 69 A etc which all give you a certain pungent odor, which is not the case here. Built quality is top notch only issue being the loose center band which keeps rotating and thats the reason for deduction half of the point. 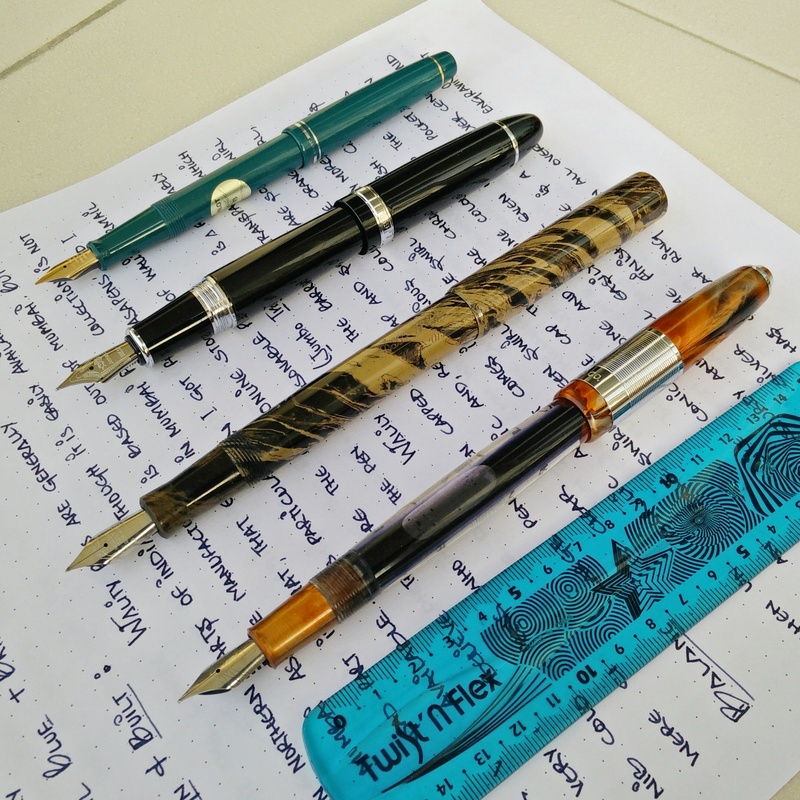 Below are the few images showing comparison of Wality 71 JT with other pens. 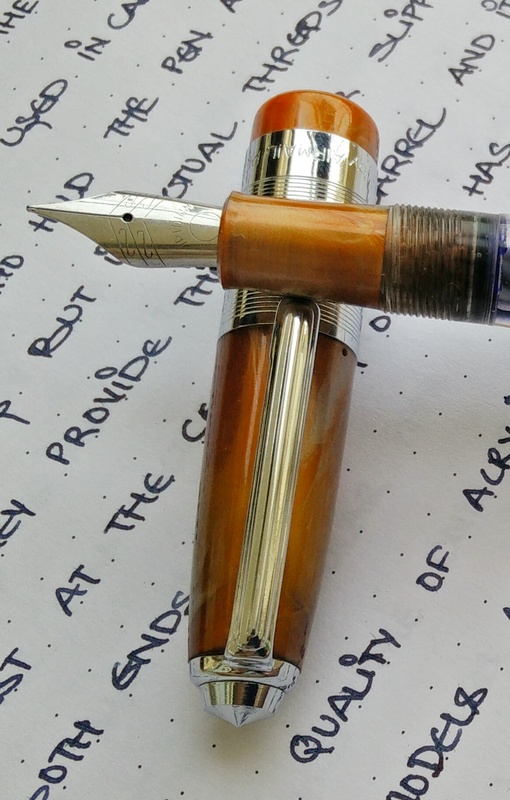 Overall its an amazing beautiful looking pen which had one issue in looks department , that this pen came with Gold Color Monotone fine Wality nib which was replaced to Ambitious Chrome nib. The pen is Large Pen. 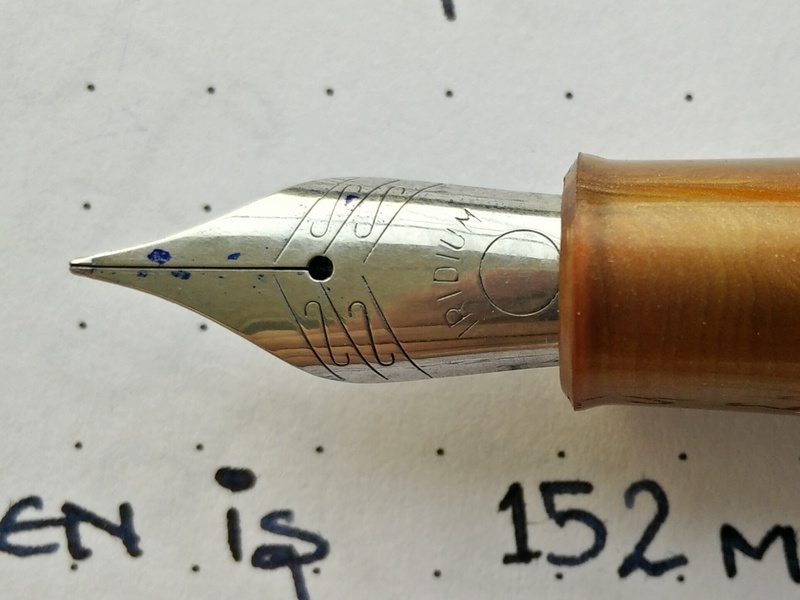 The pen is 152 mm when capped and 135 mm when uncapped including the nib. 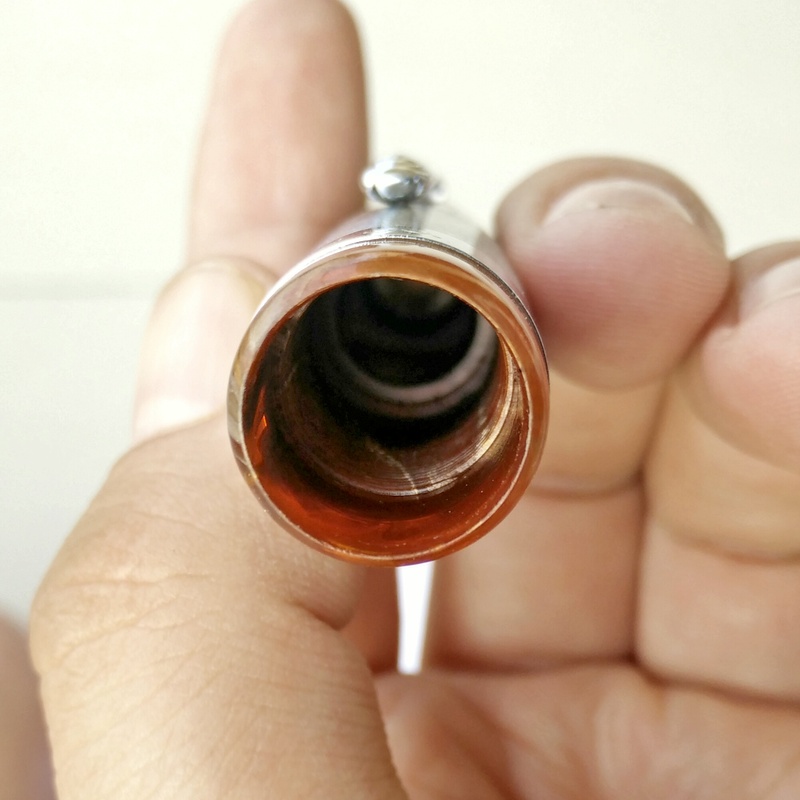 The pen as a whole is thickest at the lip of the cap which is 14 mm and the barrel is thickest at center which is 12mm. The pen is very well balanced when writing uncapped and unposted. The length is perfect and feels really good and balanced and lightweight in your hands. However when you post the cap at the back the pen really becomes long and uncomfortable even though the cap postes quite securely at back. Thus i beleive there is no requirement of posting. This is what i was not at all happy with. 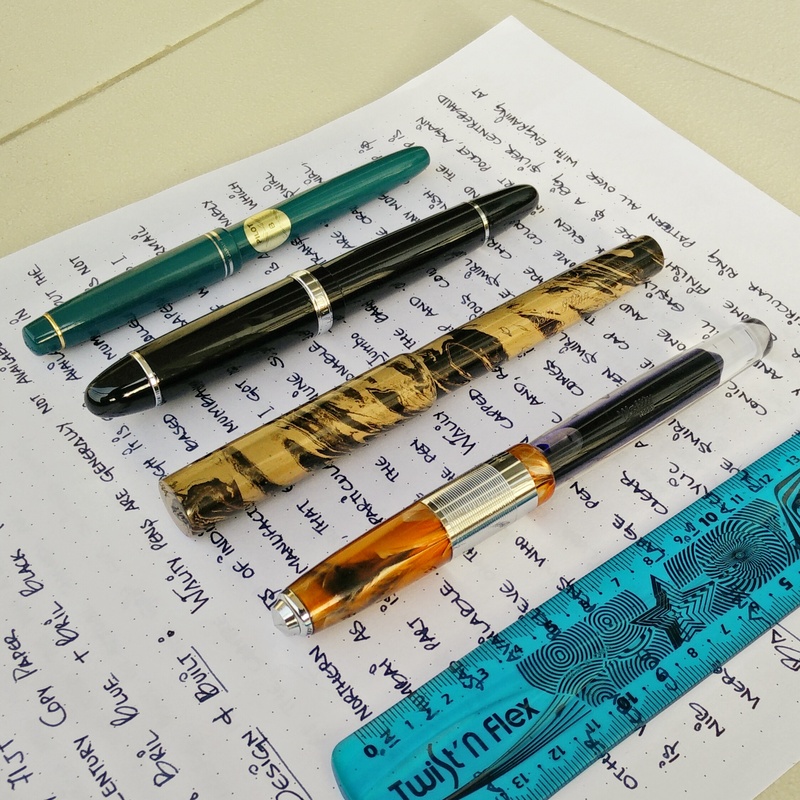 The whole charm of the pen died in a moment when i inked it and started writing with it. 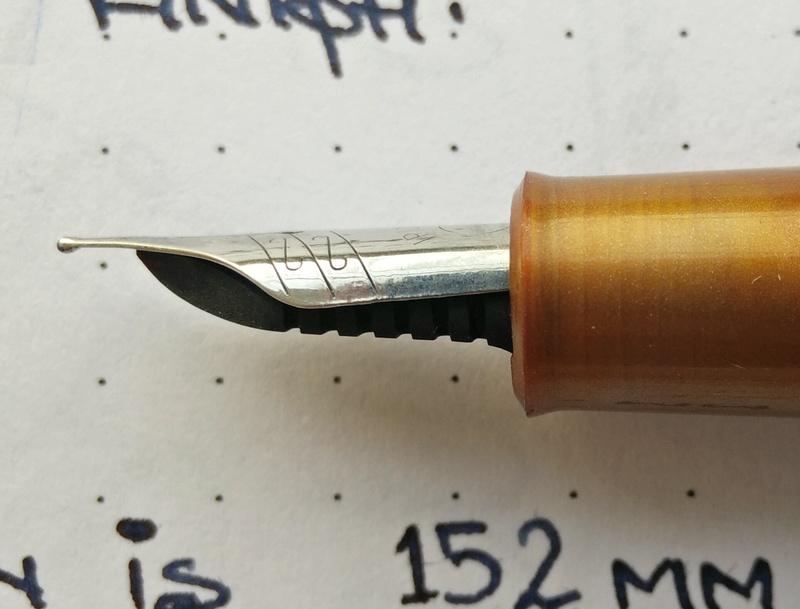 First of all the nib was scratchy and then second thing was that it burped. it was a leaky pen. Nib it came with was stock gold colored monotone fine nib which first of all did not go well with chrome trims. I did lot of tinkering with the pen. Pushing the nib deep and heat setting the nib and changing the nib to dual tone wality nib even putting iron balls inside the barrel to prevent burping, but it did not work there was always a air gap in section which was leading to burping and none of the Wality feeds was proper match to it. 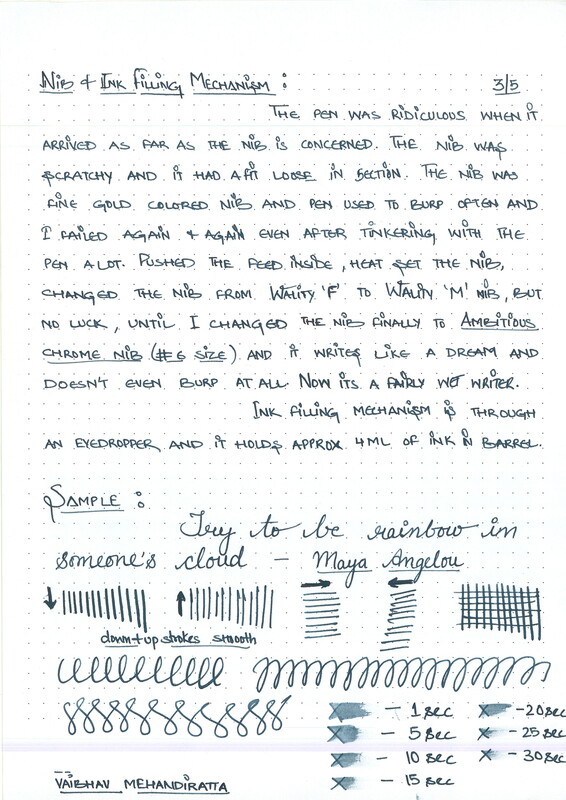 Then in last attempt I changed the nib to monotone chrome finish Ambitious #6 Nib and voila … it did wonders to my pen. I was extremely happy. 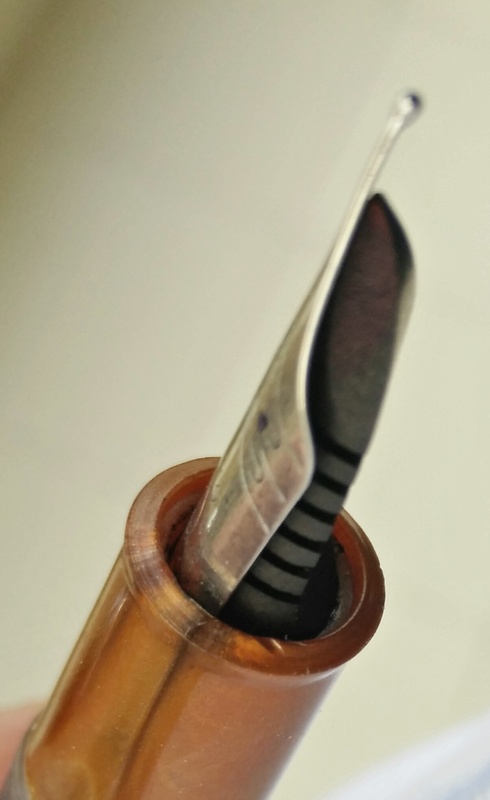 The nib set deep inside the section and is a big #6 size nib which looks small as it is set deep inside section. Now it writes medium and wet, just the way i like…Smooth. Love it. I bet you will also love it. 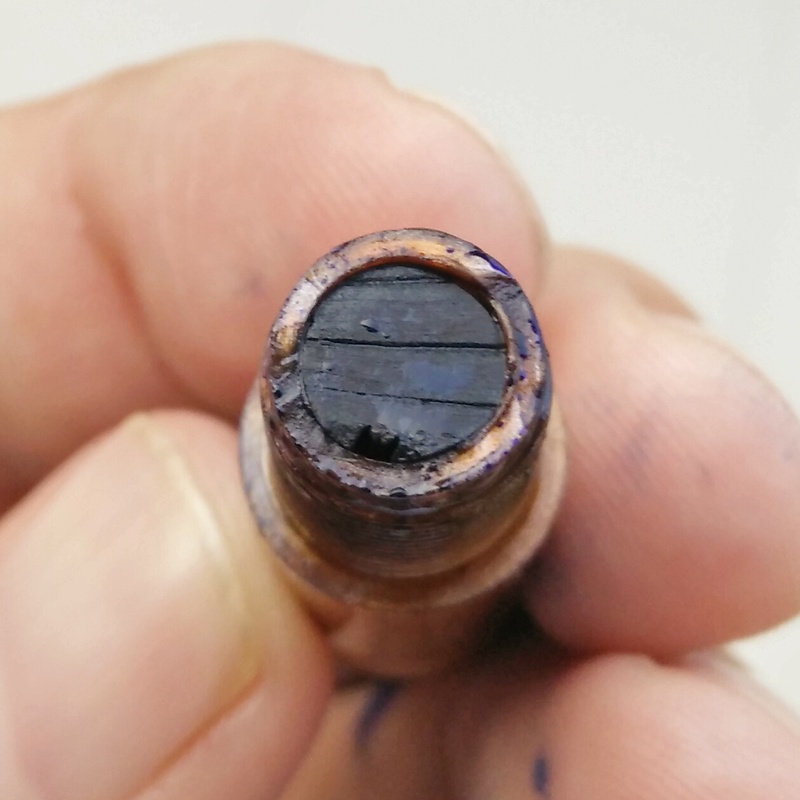 The feed is made of ebonite and this resulted in proper setting of nib by heat setting. Images below shows clearly the ebonite feed heat set with ambitious nib and also the ebonite feed bottom view ink channel. 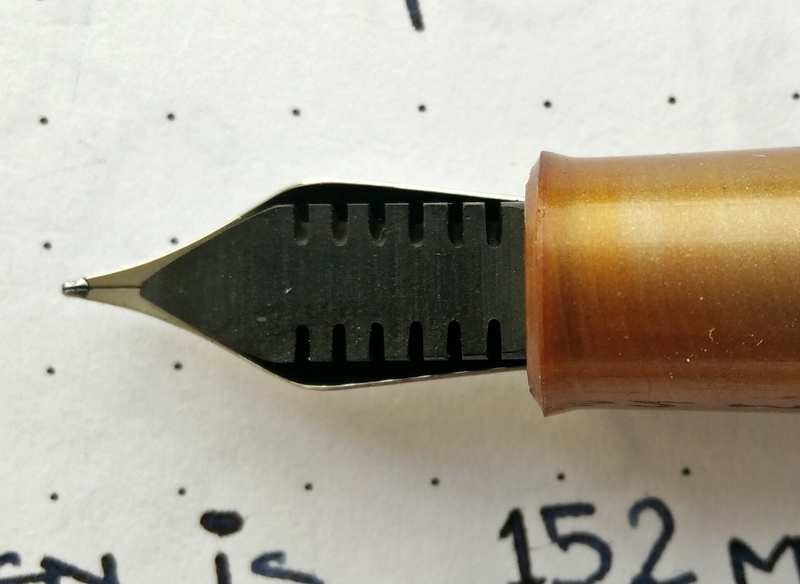 Wality 71JT with Ambitious Nib – Section View after Heat Setting. 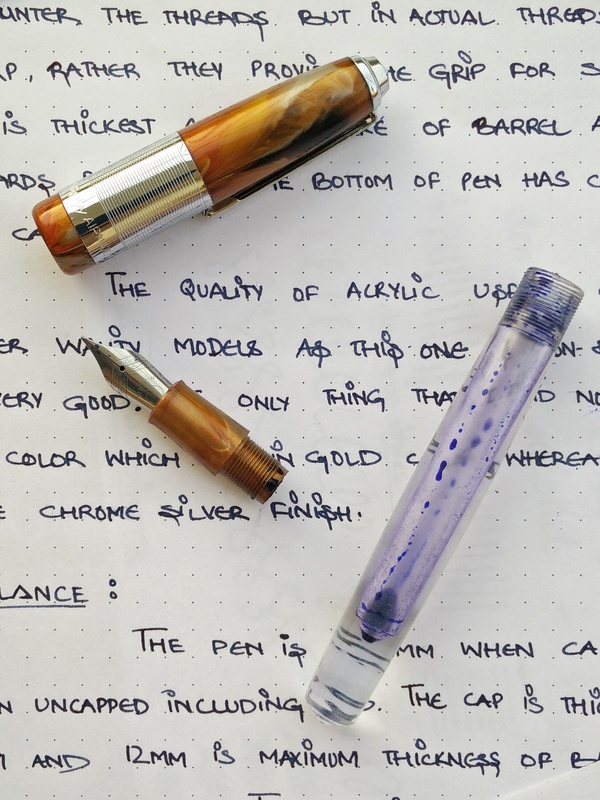 Ink Filling mechanism is through eyedropper and it takes approx 3.5 to 4 ml and being demonstrator love the ink sloshing in the pen barrel. 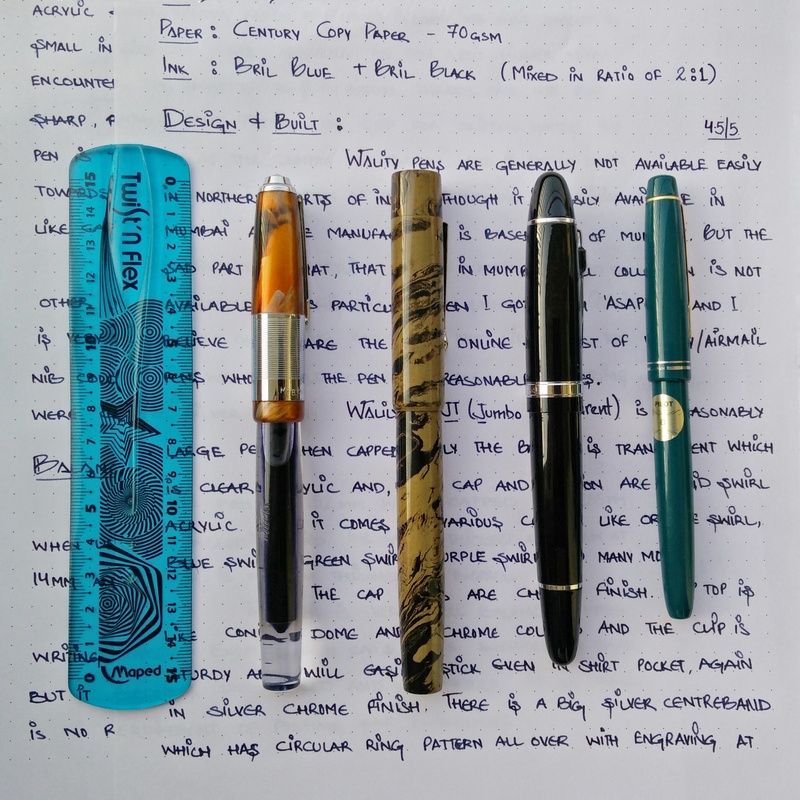 So all in all I am quite happy now with Ambitious Nib and love it. I keep picking this pen again and again as my edc pen. I have finished two barrels of ink completely without any burping now. 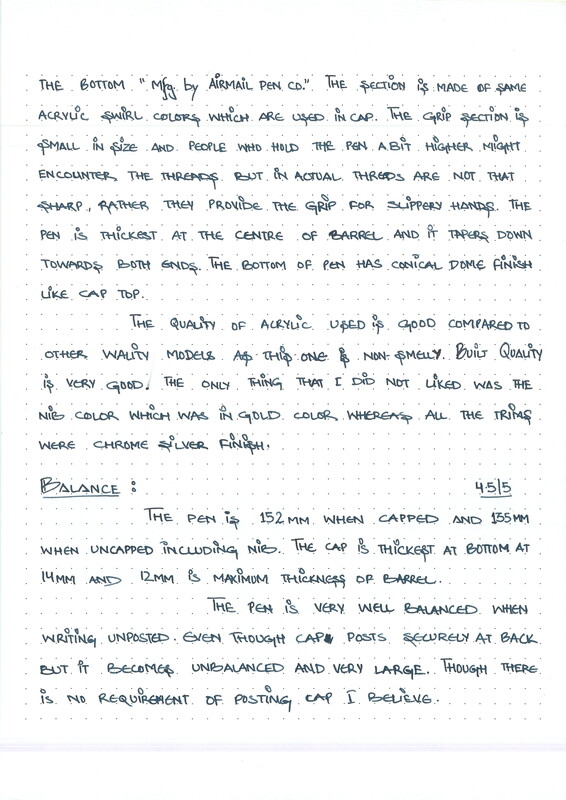 Below are the images of my handwritten review. 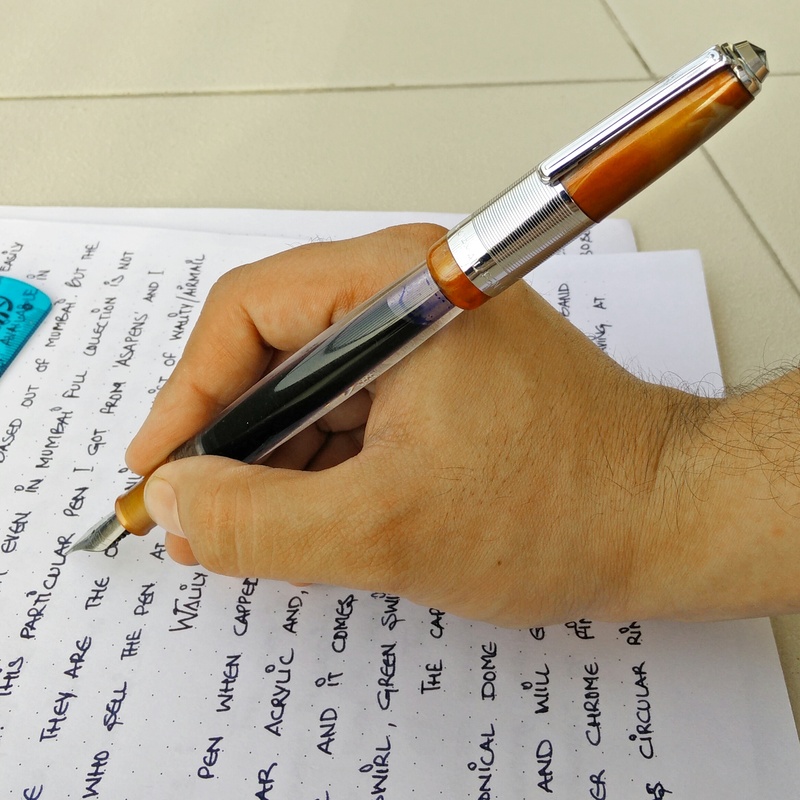 The pen offers a little variation but writes amazing in every stroke. And spreads nice even patch of ink. I keeping coming back to this pen because of its looks. 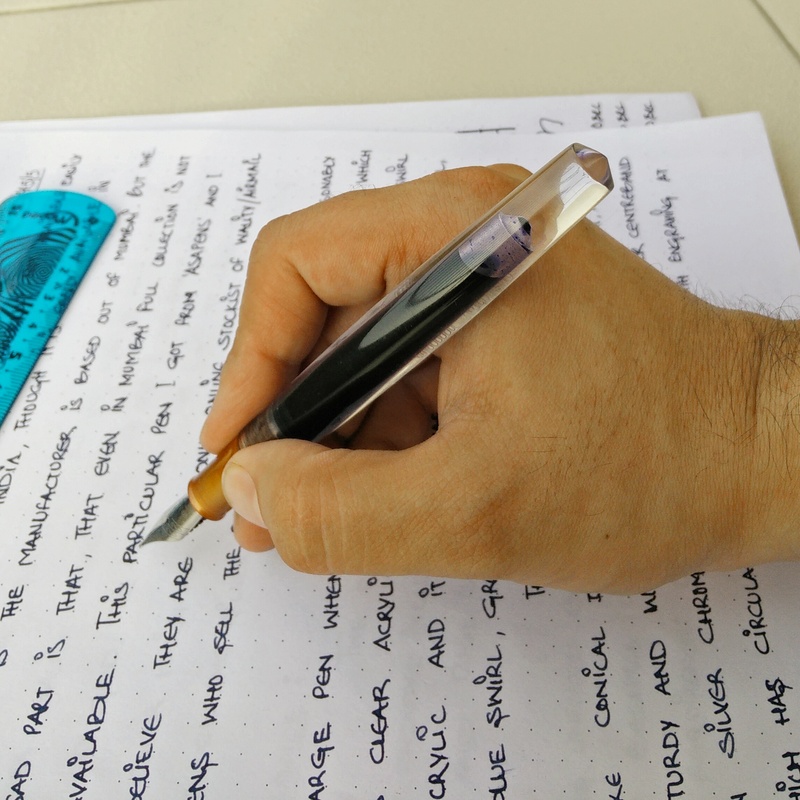 Buy the pen and change the nib and you have a winner in your hand. 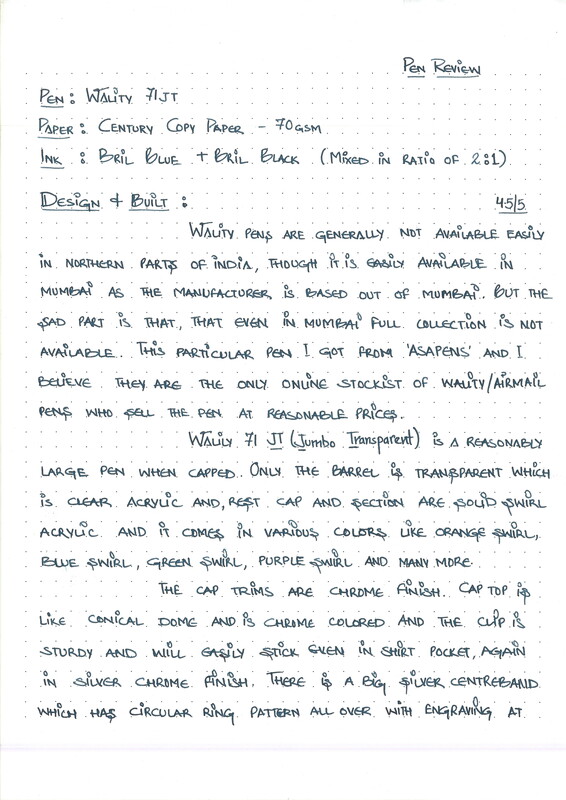 i have a wality eyedropper and i have ordered #6 ambitious nibs from Mr Subramanium along with my ASA Galactic. 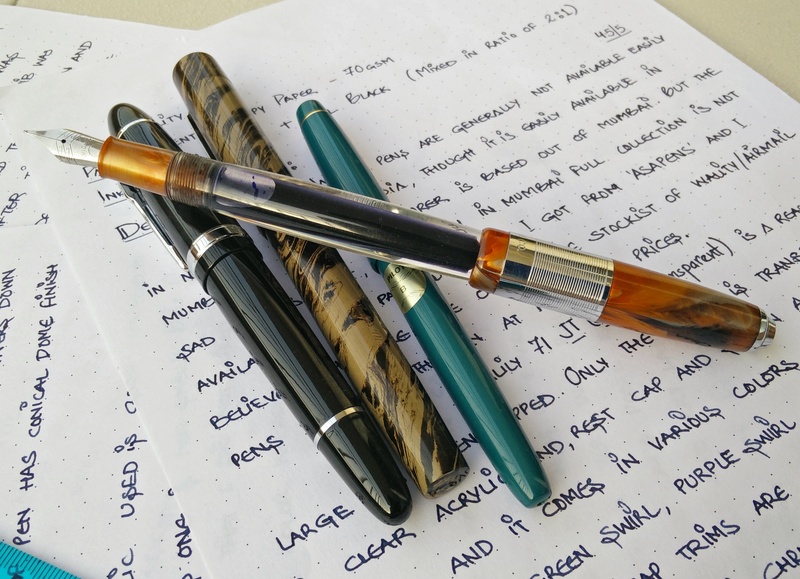 i need to know if ambitious nib for wality is a simple nib swap or do we need to widen the section or heat set the feed? and if u can provide me with a detailed guide yourself or cud point me in the right direction. 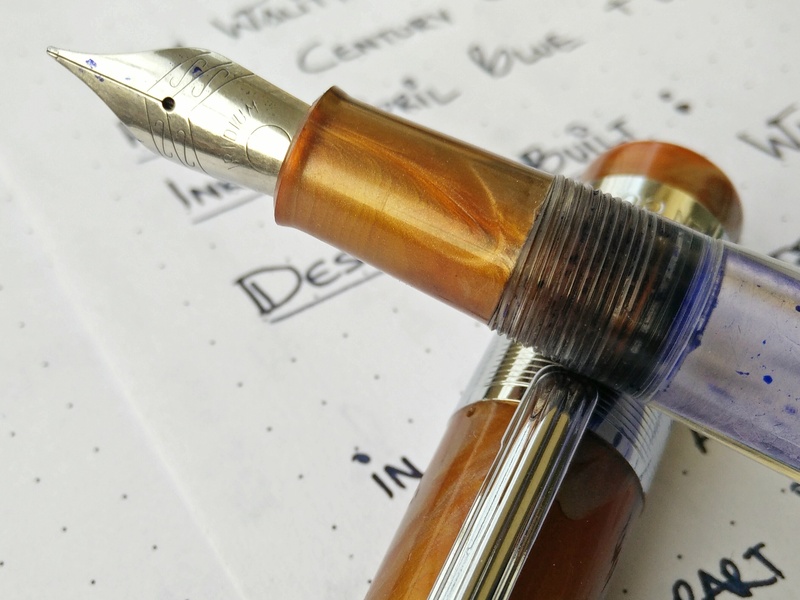 I need to buy ambitious #6 nibs chrome for my wality.. do asapens carry them? Vaibhav, your blog has suddenly turned into an impromptu “want-list” for me. I just ordered the 71 JT for myself. ASA Viraat – you’re next! 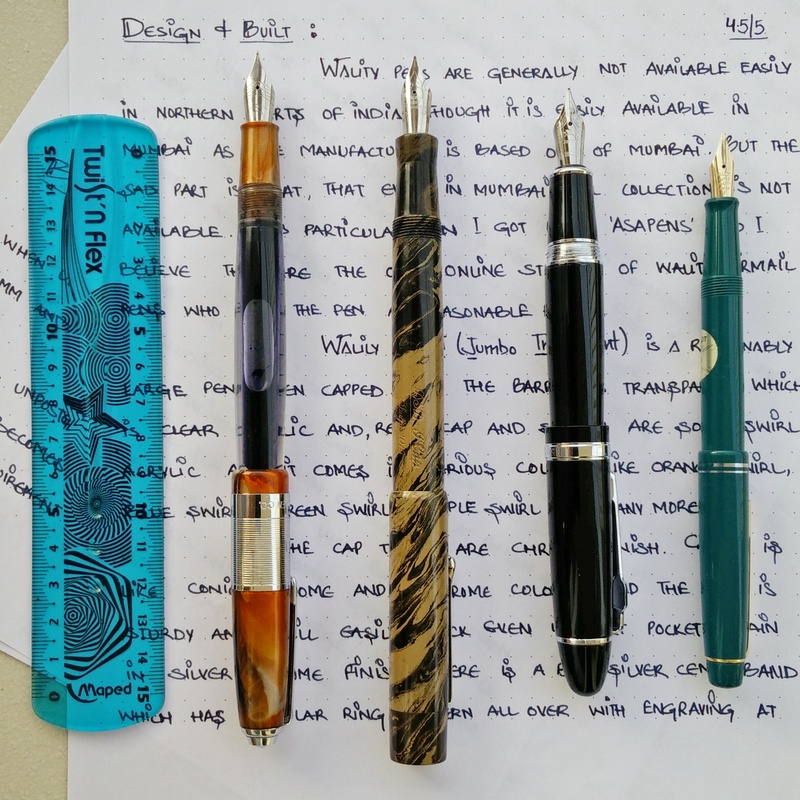 Sir can you suggest where to good quality nibs with reasonable price to use in not so expensive pens ( sub 1500rs pens). Finally the pen arrived, needed some nib smoothing after which its writes amazing. Great Review, Great Pictures. I have this and one more shade, purple. Bought from Palakkad (Kerala) last week. Didnt inked. Let me see. I think this burping problem not there in Wality 69T, all my 69T are good writers. I have some extra feeds from Mr.Sreekumar and find the feed is better and it solve many issues like flow, burping etc. Luckily I have some Ambitious Nibs also. Thank you very much vaibhav for this useful review. Sorry Vaibhav for not being clear about my point. 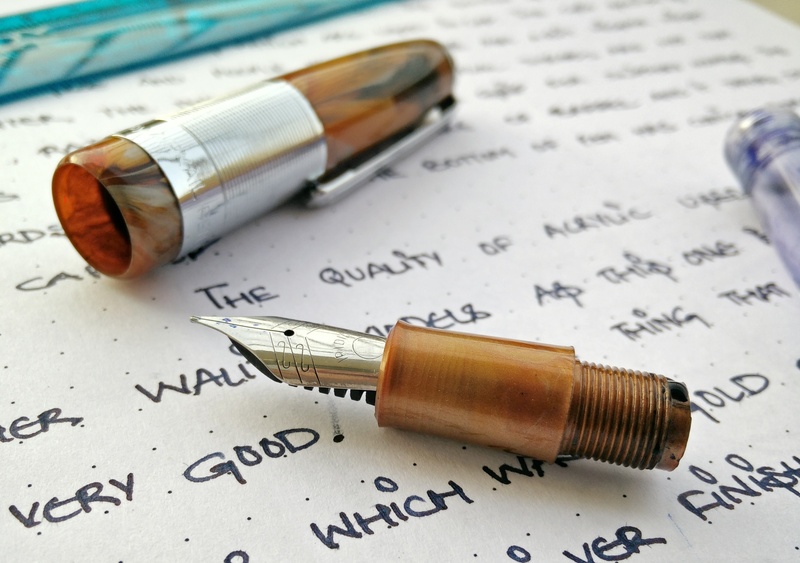 I did not intend to make any comparison but I have never encountered any problems so far with fountain pen except when I was at school using Wilson and Chinese pens but never had any clue about the fix. Thanks for responding to my conversations though. I will discuss some pens with you. Great review and equally great pictures. After reading this I ordered one. 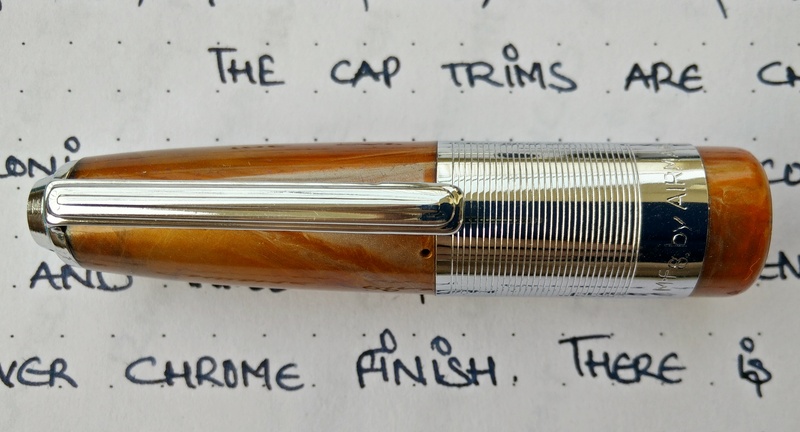 can you share from we can get ambitious chrome nib? I love your article! It makes me so tempted to but one for myself. However just to query, did you buy the extra nib or did Mr. Subramaniam sent one to you when you encountered the burping problems? 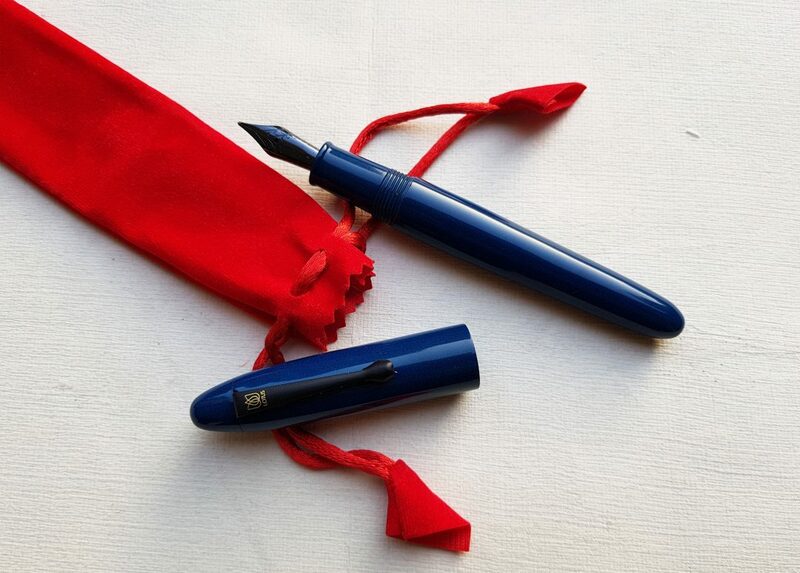 I had extra nib with me purchased earlier for some other pen.. As i like to play around with pen… However you can ask Mr. Subramaniam for spare nib and even ask him to check the pen.. Like do fountain pen testing before he dispatches the pen. This sounds brilliant, that he would be willing to provide such a service. Will definitely check his website out! Thank you very much!